Since November, more than 80,000 Nigerians have been forcibly displaced due to ongoing violence in the north-east, adding to two million people already displaced by violence, or forced across the country’s borders as refugees, the UN humanitarian coordination office (OCHA) said on Tuesday. Since 2009, the north-east of the country has been in the grip of a civil conflict triggered by armed opposition groups. 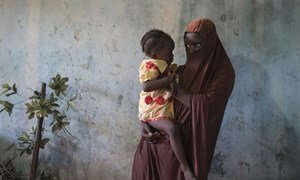 The conflict has now spilled over borders across the whole Lake Chad region, resulting in widespread displacement, violations of international humanitarian and human rights law, and protection risks for increasing numbers of civilians - all adding up to one of the world’s worst humanitarian crises. Amid reports that Cameroon is forcing several thousand Nigerians to return to Borno state in the country’s crisis-gripped north-east, the United Nations refugee agency (UNHCR) deplored the move, saying it has put lives “at risk”. 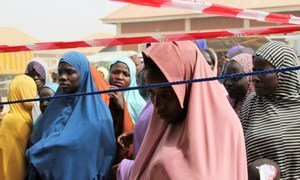 Following an upsurge in violence in north-east Nigeria, which was brought to global attention five years ago with the abduction by Boko Haram extremists of the Chibok schoolgirls, tens of thousands of innocent civilians continue to flee, prompting “grave concern” from the United Nations envoy there.